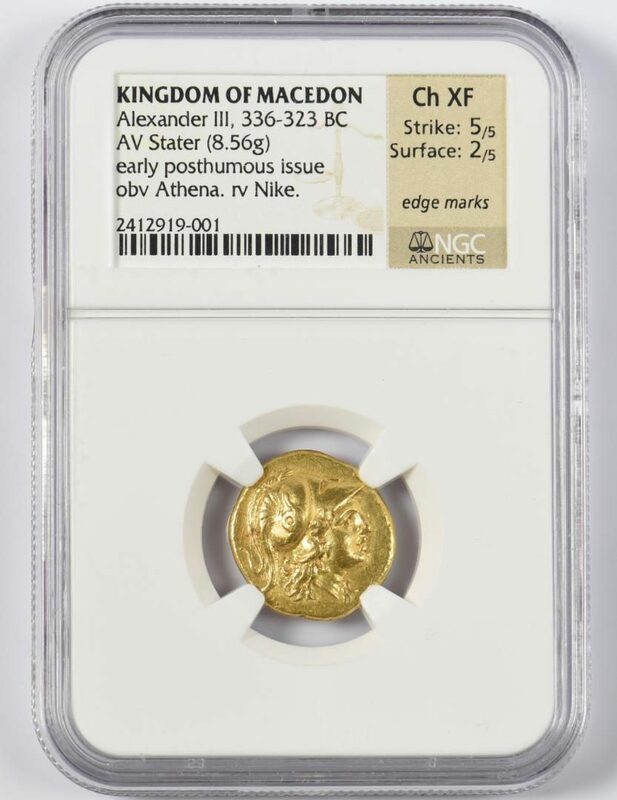 Kingdom of Macedonia, Alexander III AV Stater, early posthumous issue. 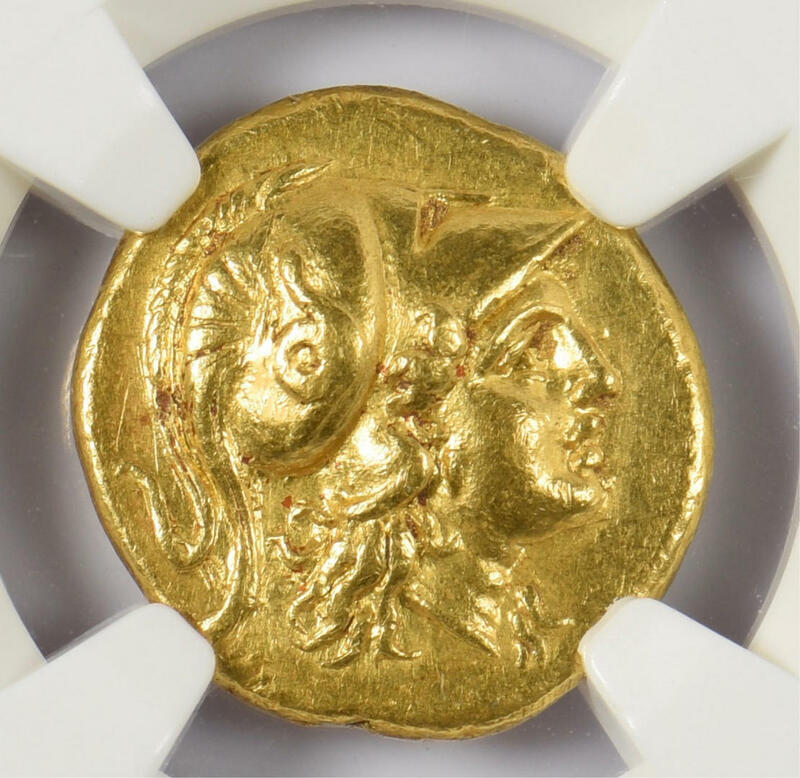 Obverse of coin with head of Athena wearing a Corinthian helmet and a standing Nike with wreath and stylus on the reverse. 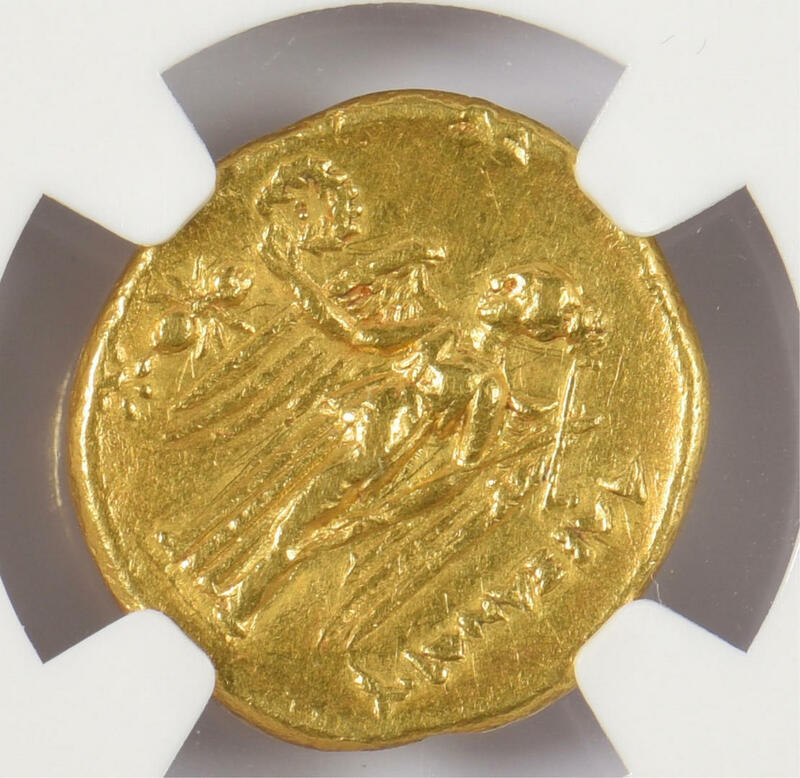 336-323 BC. CONDITION: Ch XF, strike 5/5 and surface 2/5, edge marks. 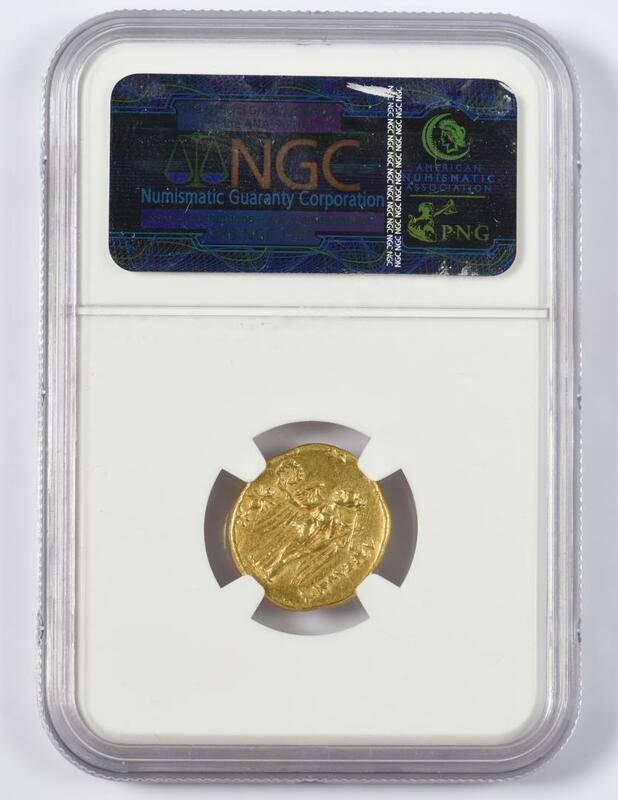 Graded by NGC.